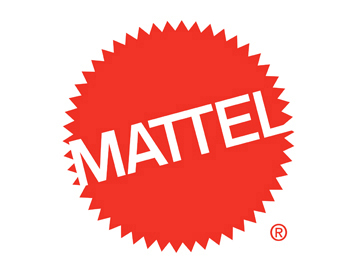 Mattel, Inc. (NASDAQ: MAT) today announced the promotion of Steve Totzke to the role of Chief Commercial Officer, with oversight of a new, unified global commercial organization for Mattel, effective immediately. Mr. Totzke will report to Ynon Kreiz, Mattel’s Chairman and Chief Executive Officer. As Chief Commercial Officer, Mr. Totzke will directly manage a unified global commercial organization for Mattel, working closely with Mr. Kreiz as well as Richard Dickson, Mattel’s President and Chief Operating Officer. Partnering with regional leaders in markets around the world, Mr. Totzke will be responsible for driving continued commercial excellence for Mattel, maximizing retail partnerships and expanding the company’s e-commerce capabilities. Mr. Totzke has held a wide variety of leadership roles with Mattel over the course of nearly 20 years, in areas including sales, marketing and business operations. Most recently, he served as Executive Vice President and Chief Commercial Officer, North America, with responsibility for commercial execution, sales and merchandising strategy in the North American market. Previously, Mr. Totzke held a number of leadership roles with Mattel, including Senior Vice President, Sales, VP and General Manager of Mattel’s operations in Australia and New Zealand.In addition, Mr. Totzke served as a Vice President with Spin Master Corporation from 2000 to 2002; prior to that he held sales and marketing roles with Mattel from 1996 to January 2000. Mattel is a leading global children’s entertainment company that specializes in design and production of quality toys and consumer products. We create innovative products and experiences that inspire, entertain and develop children through play. We engage consumers through our portfolio of iconic franchises, including Barbie®, Hot Wheels®, American Girl®, Fisher-Price® and Thomas & Friends®, as well as other popular brands that we own or license in partnership with global entertainment companies. Our offerings include film and television content, gaming, music and live events. We operate in 40 locations and sell products in more than 150 countries in collaboration with the world’s leading retail and technology companies. Since its founding in 1945, Mattel is proud to be a trusted partner in exploring the wonder of childhood and empowering kids to reach their full potential. Visit us online at www.mattel.com.